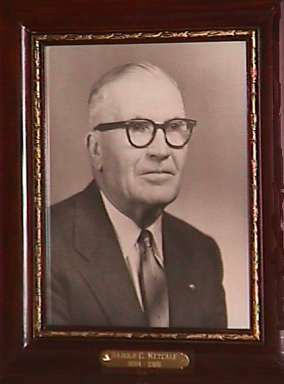 It was November, 1984, when 90 year old Harold Metcalf of Fairmont, MN, called Major Arnold Chariton and offered to deed 150 acres of land to the City of Primghar. 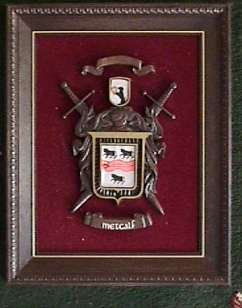 Metcalf envisioned a fully irrigated 9 hole golf course on the land and initially gave $400,000 to build the course. Seventy acres were used for the golf course and the rest turned to yearly cash rent for maintenance of the course. It was at Mr. Metcalf's wish that no child who wanted to play golf would be deprived. Clubs have been purchased for all youth and they will be able to play free of charge if unable to pay. Because he was born and raised in Primghar, Mr. Metcalf was willing to return a share of his blessings to Primghar. 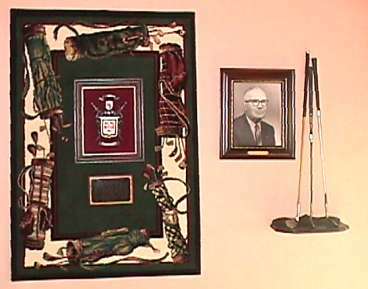 The pictures and citation are reproduced from the memorial on the wall of the Primghar Golf and Country Club.